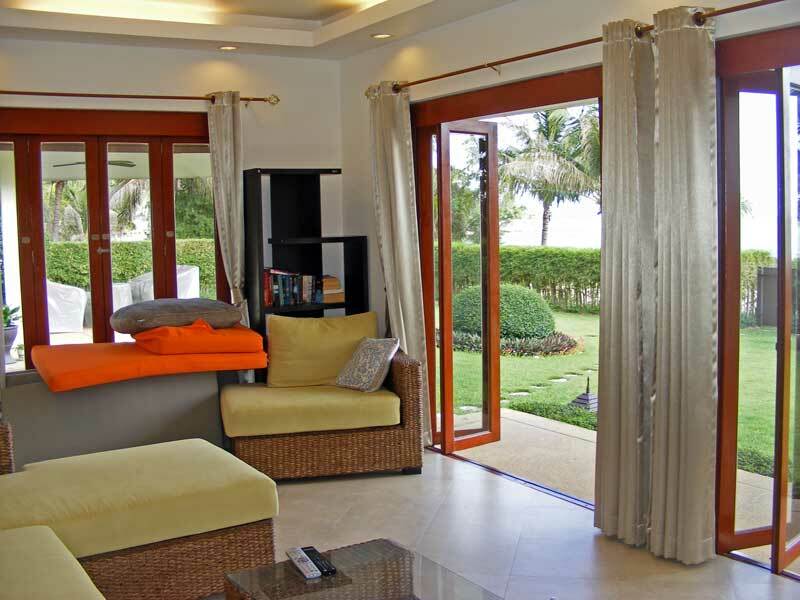 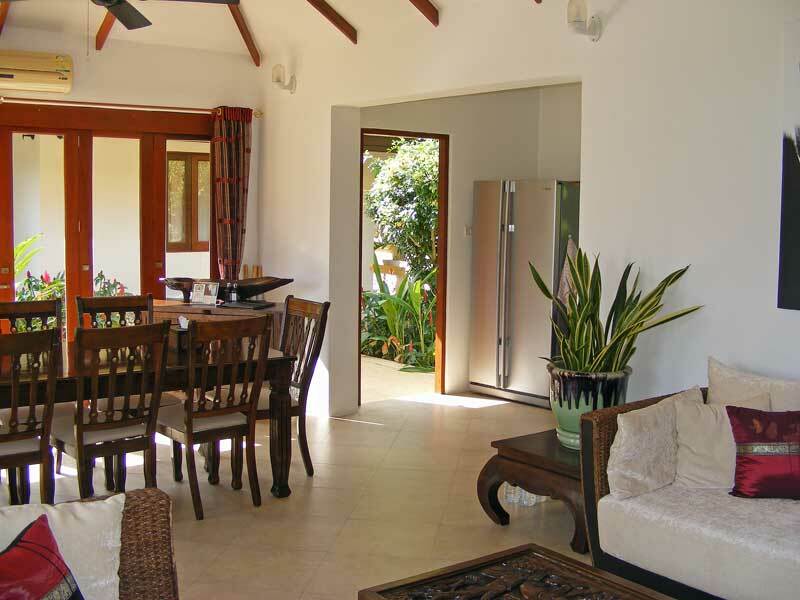 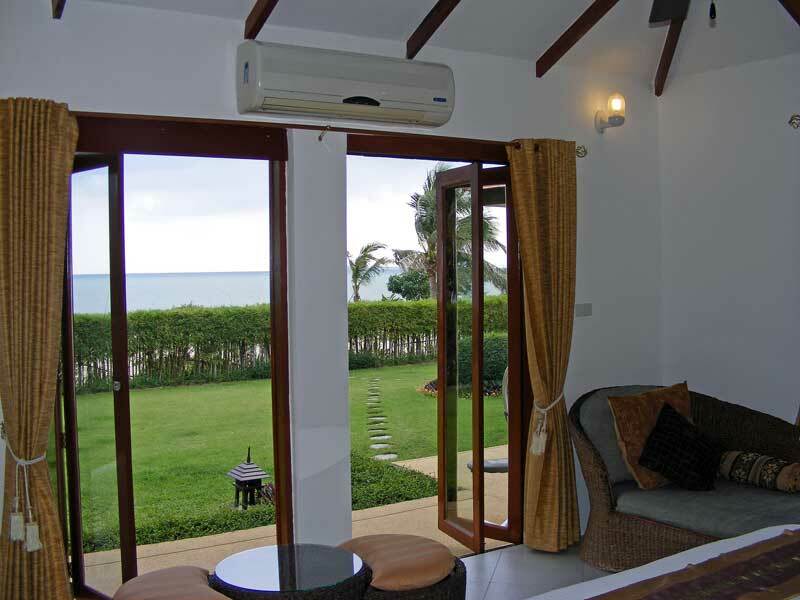 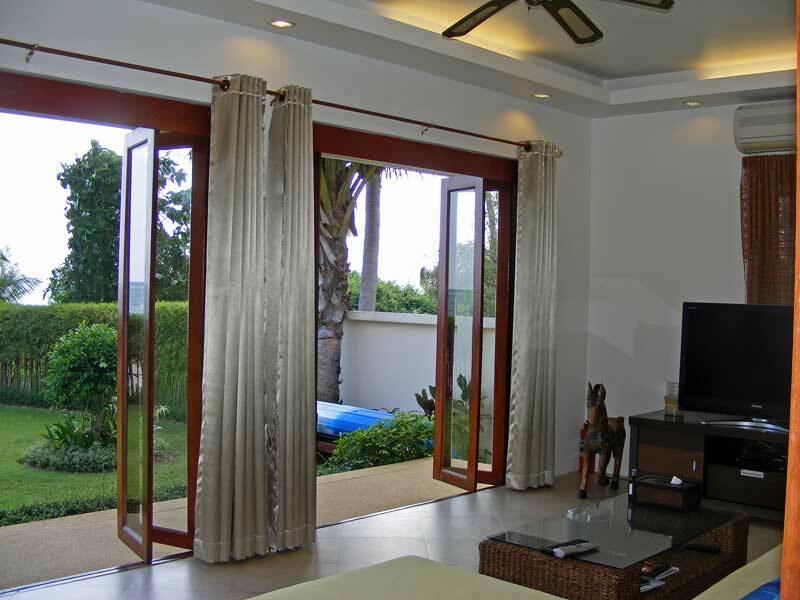 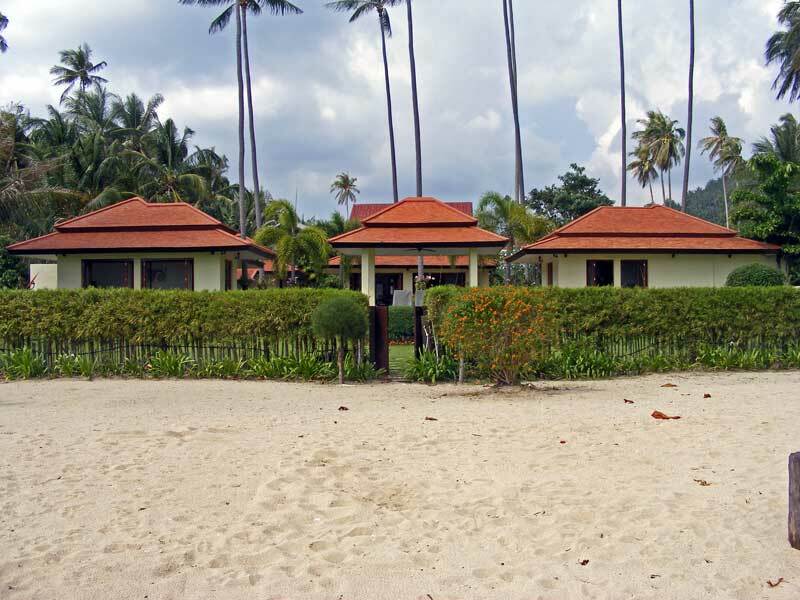 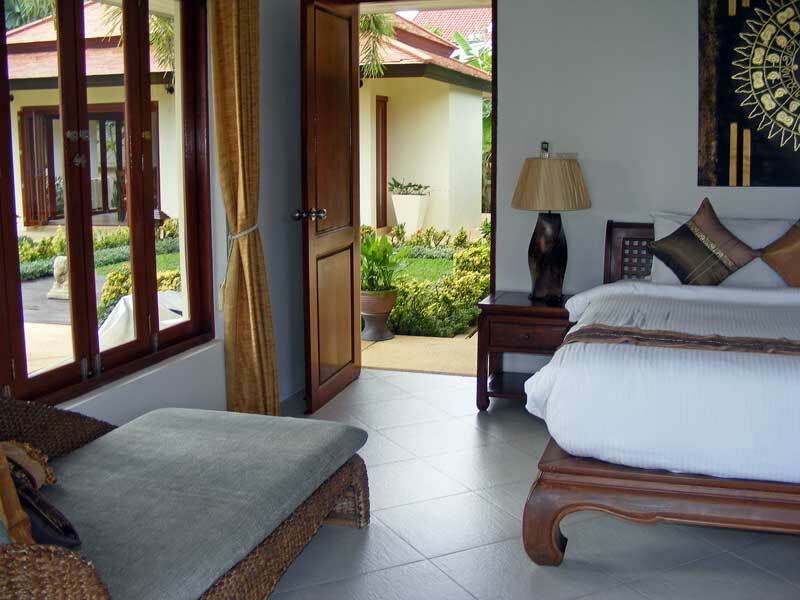 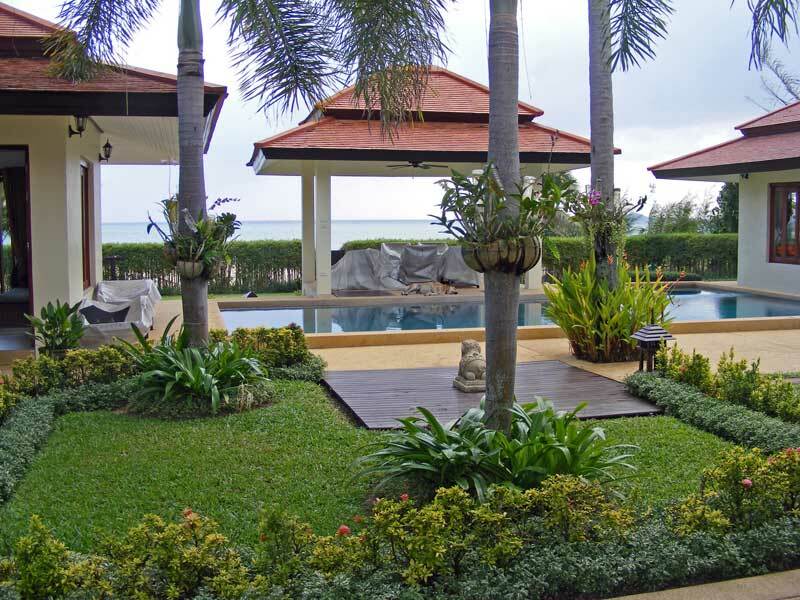 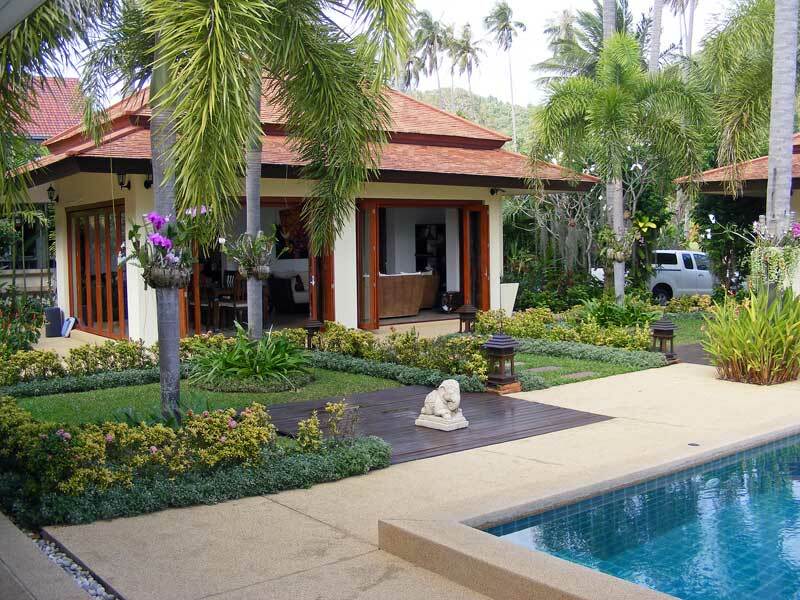 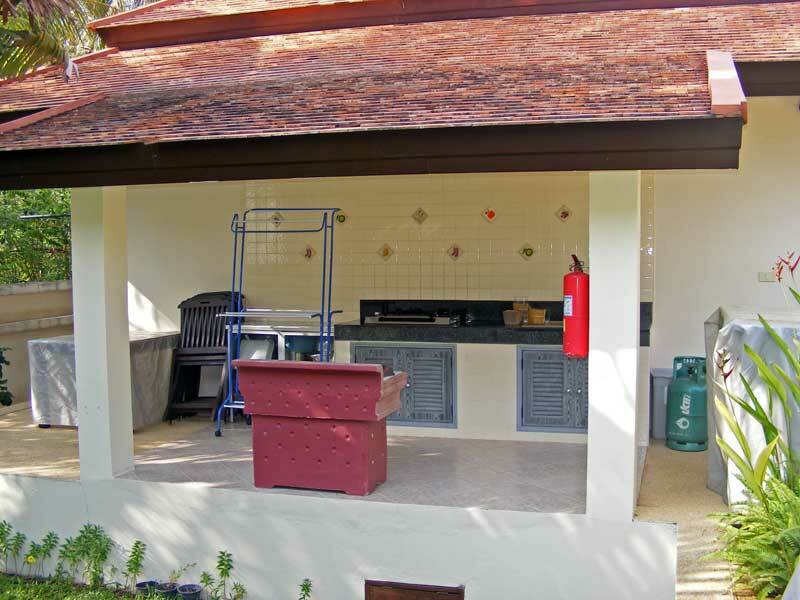 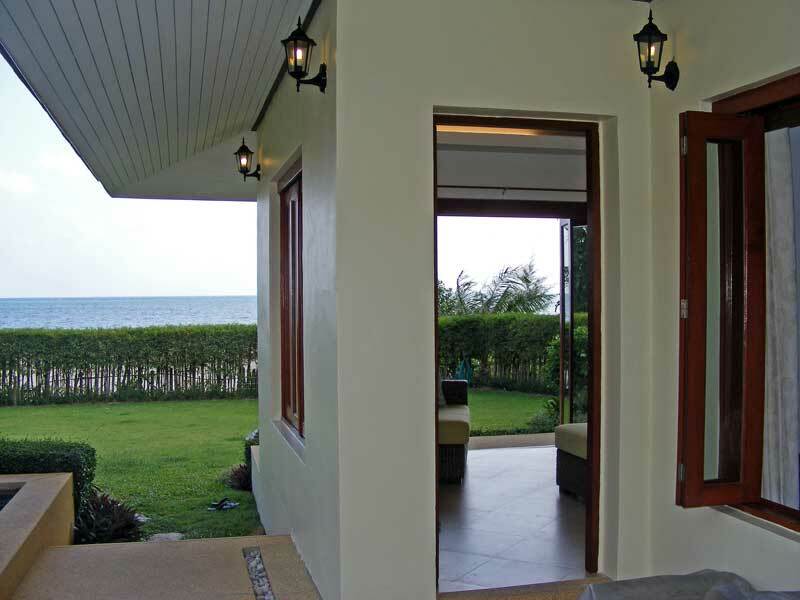 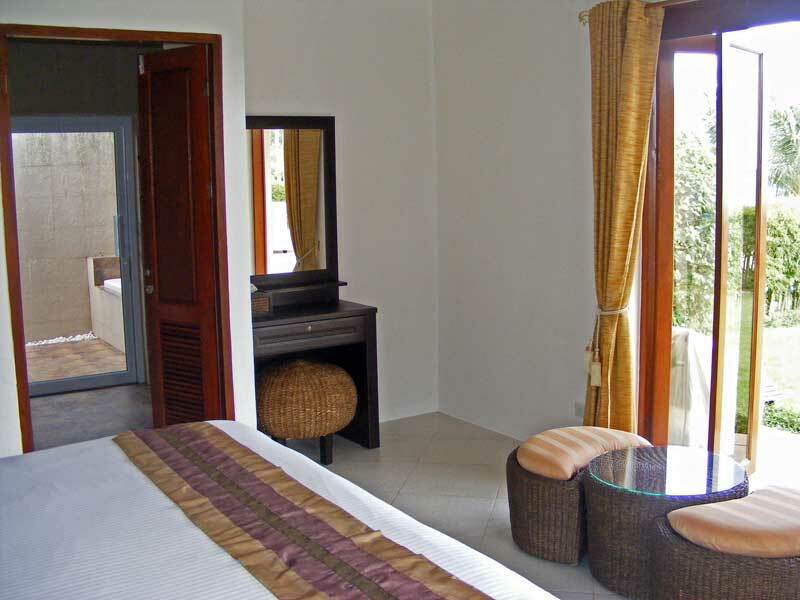 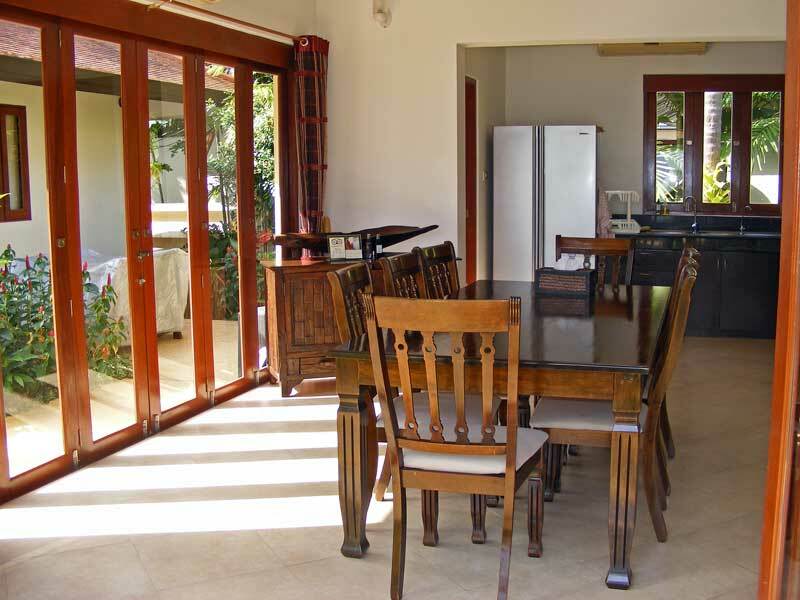 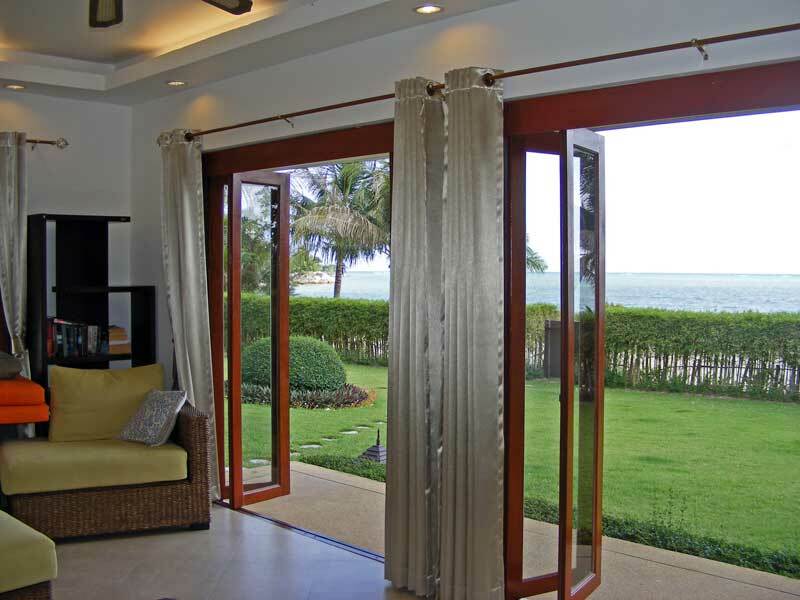 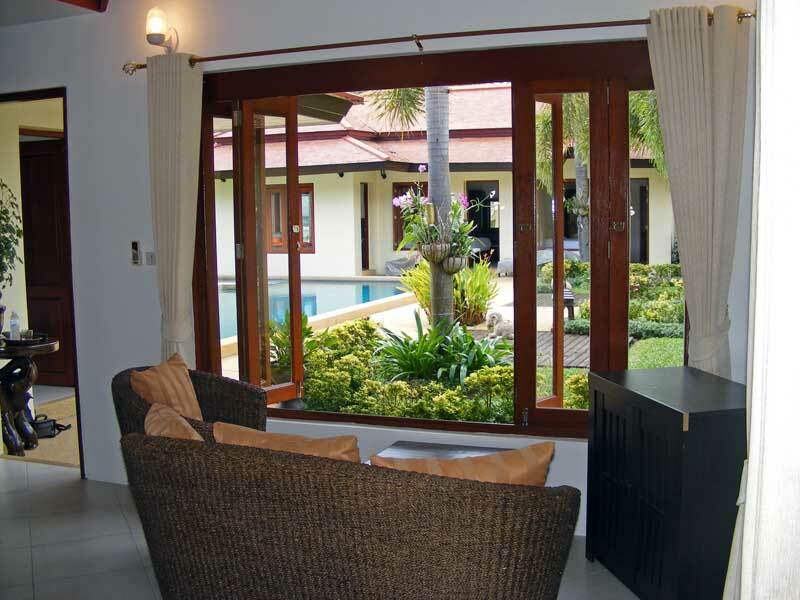 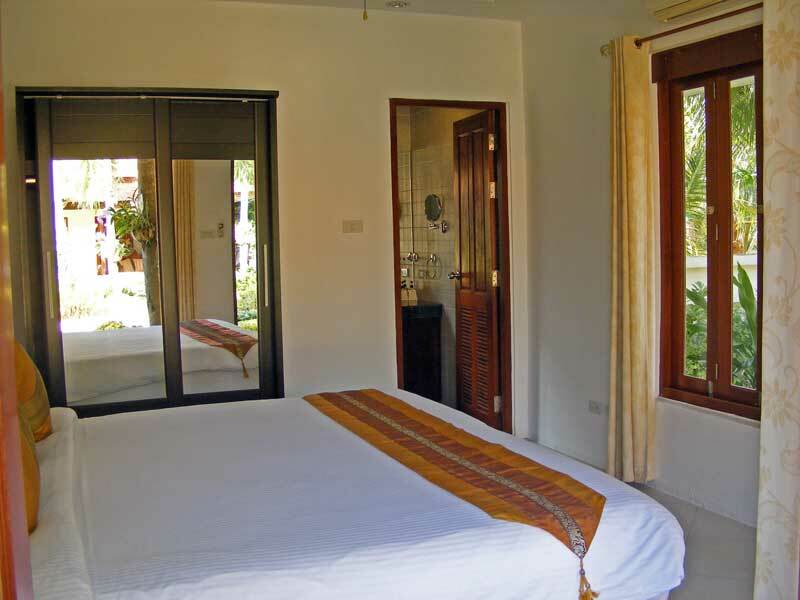 The Bali style beach house is located in Laem Set, a very quiet area. 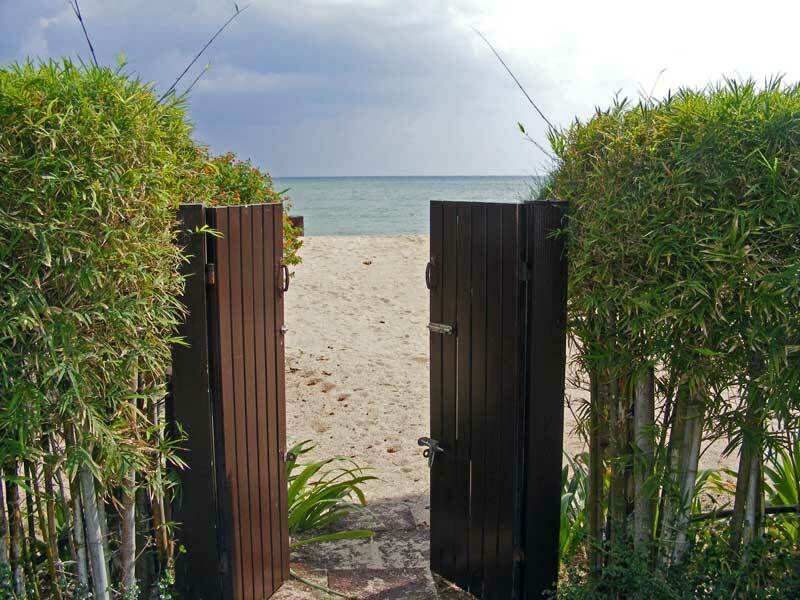 The access is granted by a public road. 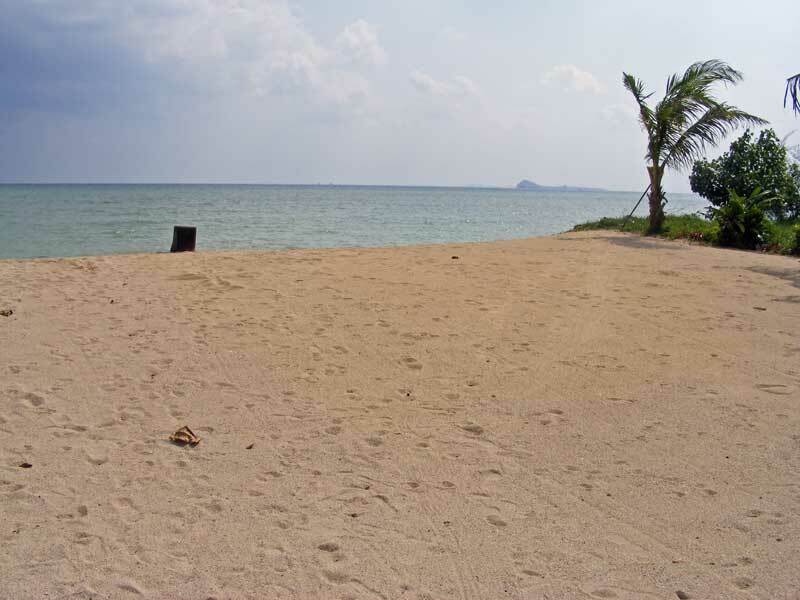 The ample beach lies right in front of the house. 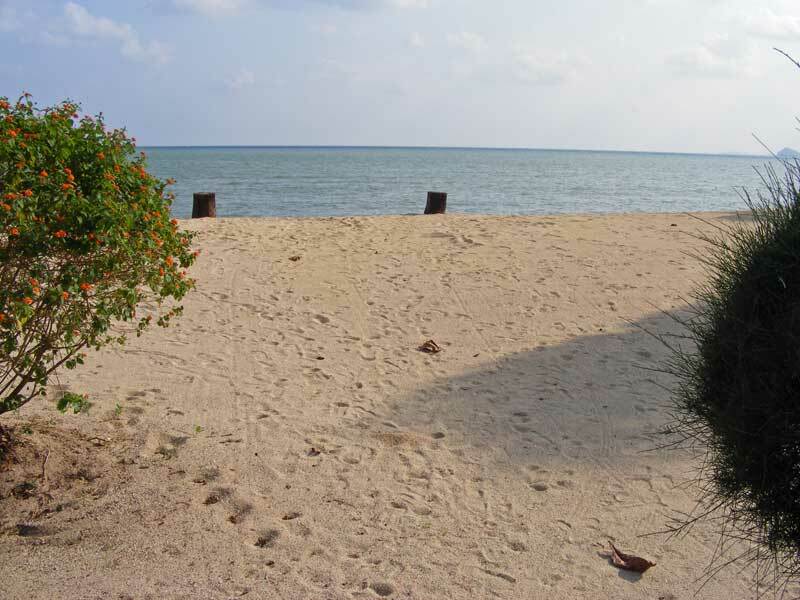 The level ground in this area invites to go for a nice walk, bicycle ride or jogging. 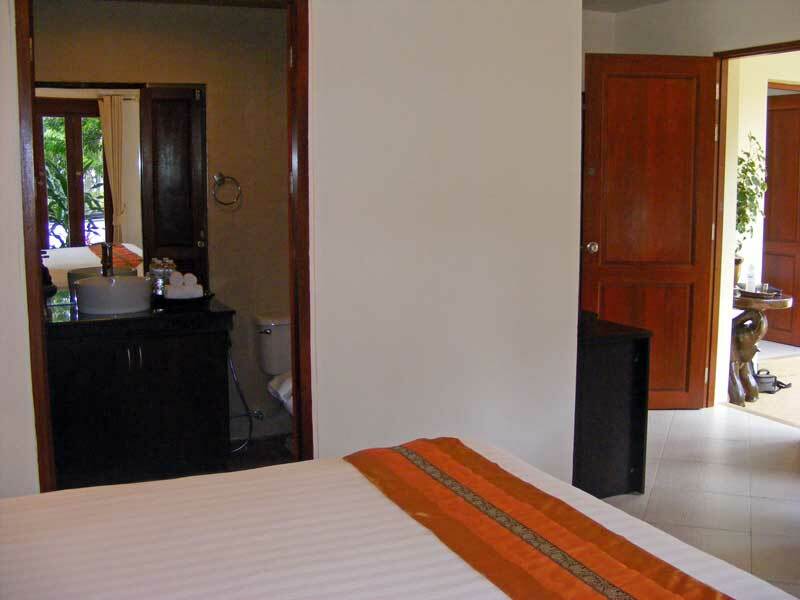 Restaurants and small shops are in the near vicinity. 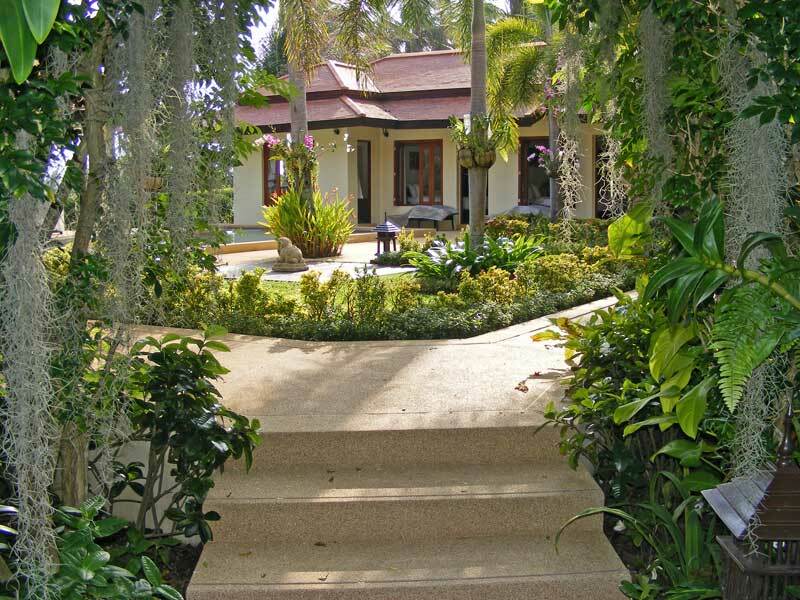 Big shopping centers are about 15 minutes by car. 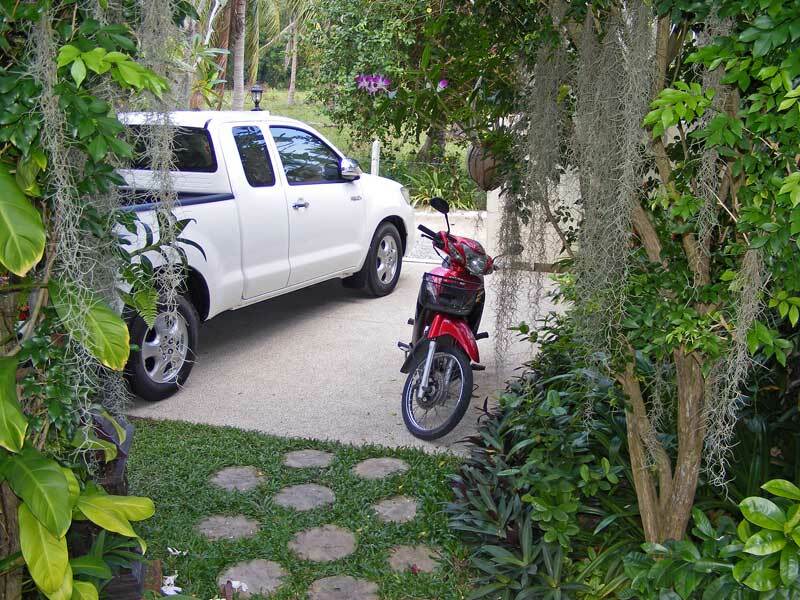 You enter the property through a sliding door that secures the walled plot to the road and here you find the car park for a big and a small vehicle. 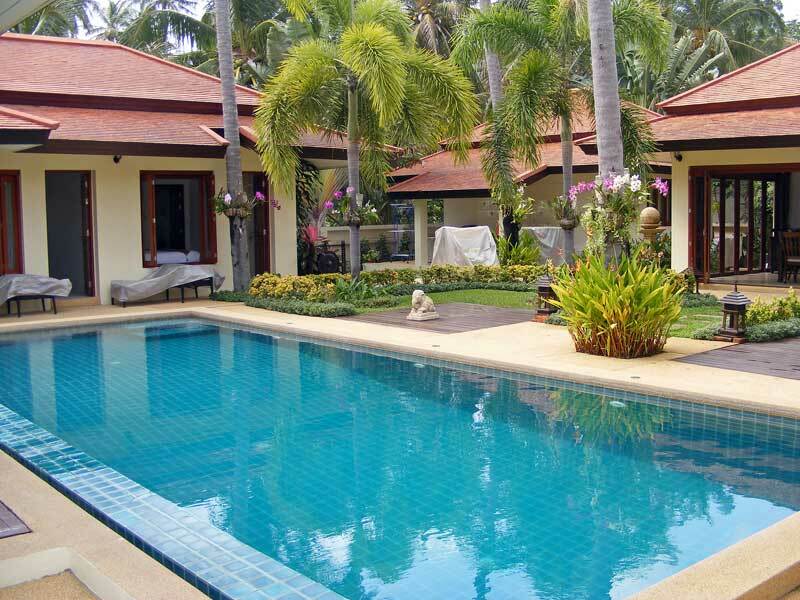 Escalating a small stair you come onto the main level where the houses and pool assemble. 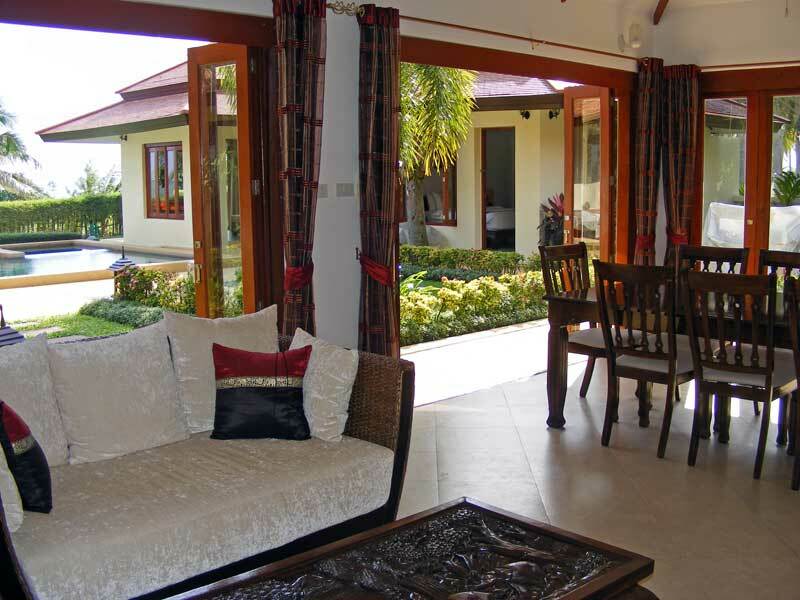 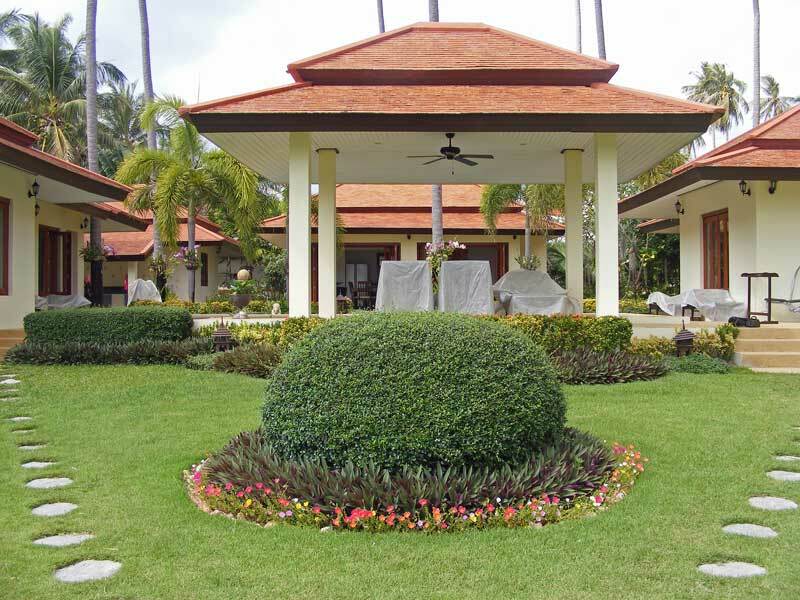 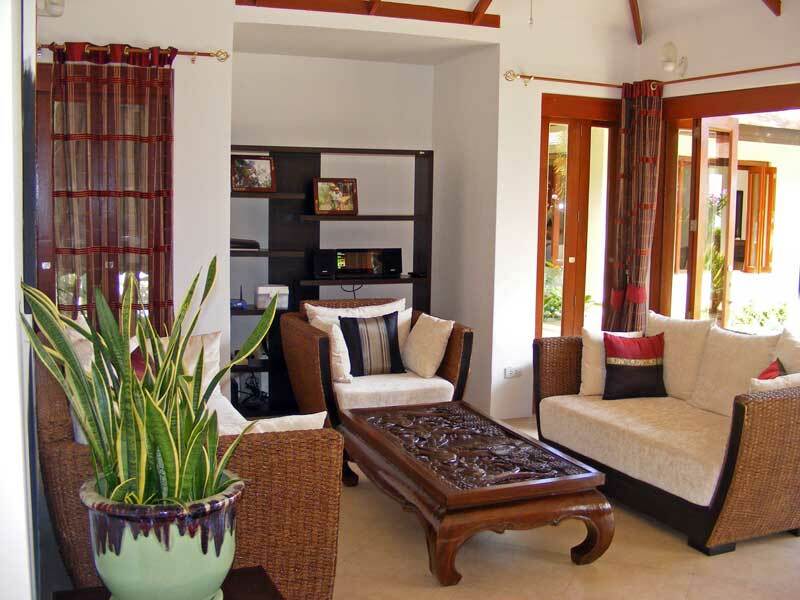 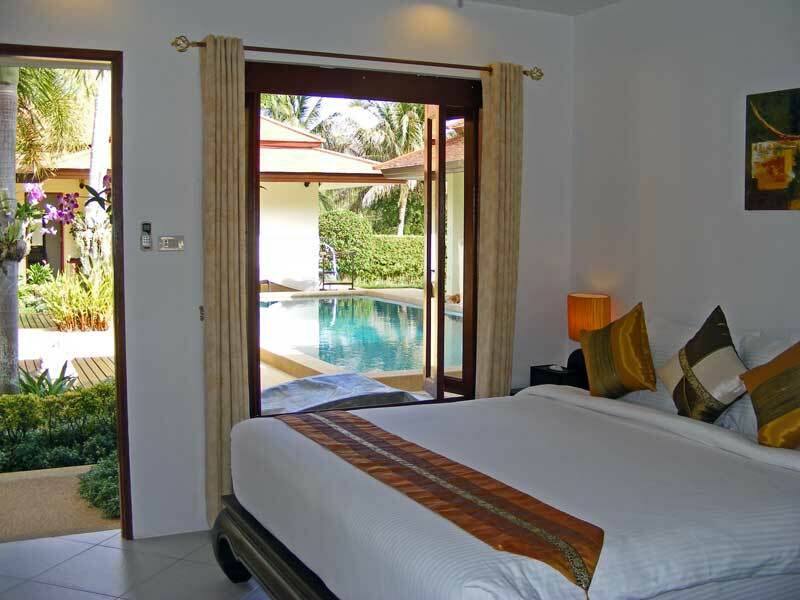 This very tastefully designed Balinese style Villa is an ensemble of 4 buildings. 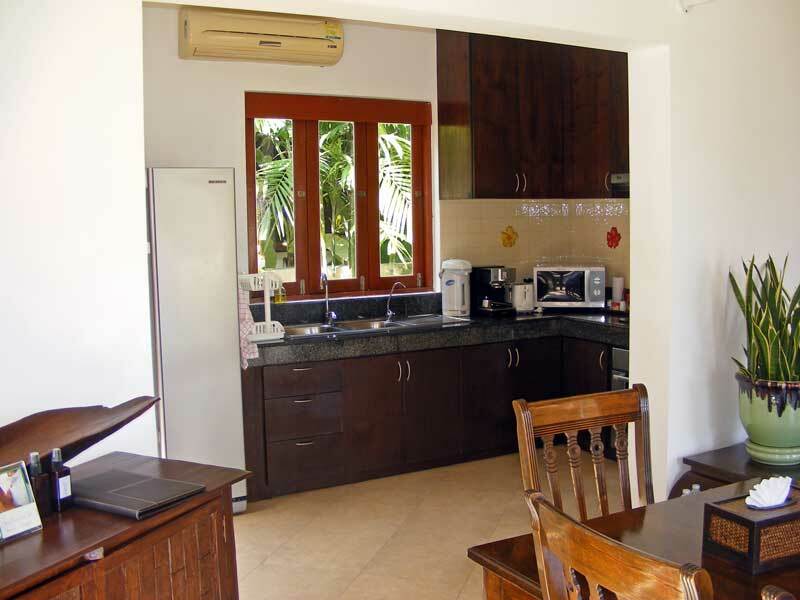 House 1 has two large bedrooms, house 2 has two smaller bedrooms and a living room with great sea view, house 3 is open living-dining-kitchen, and house 4 is the staff house. 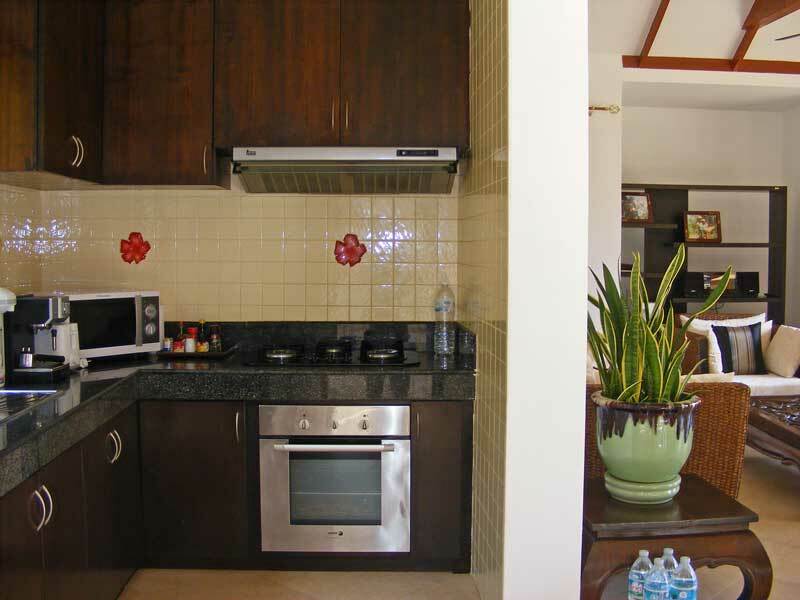 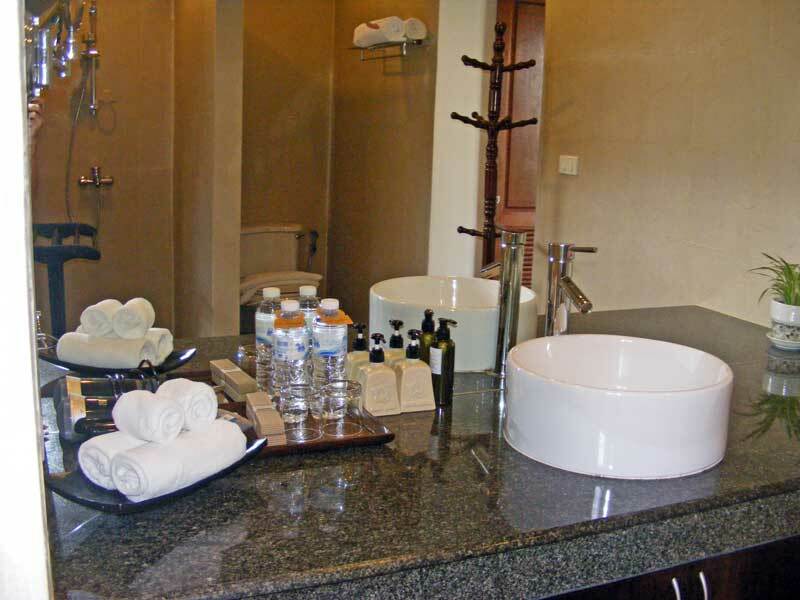 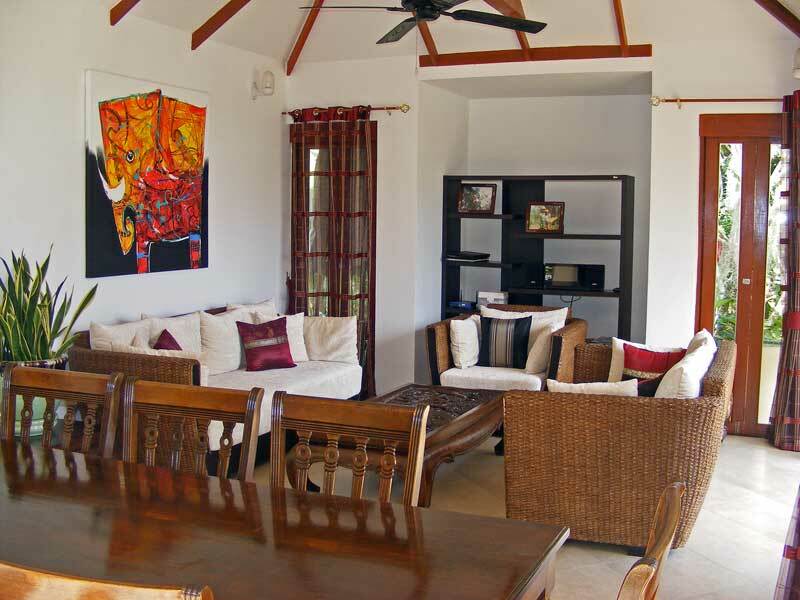 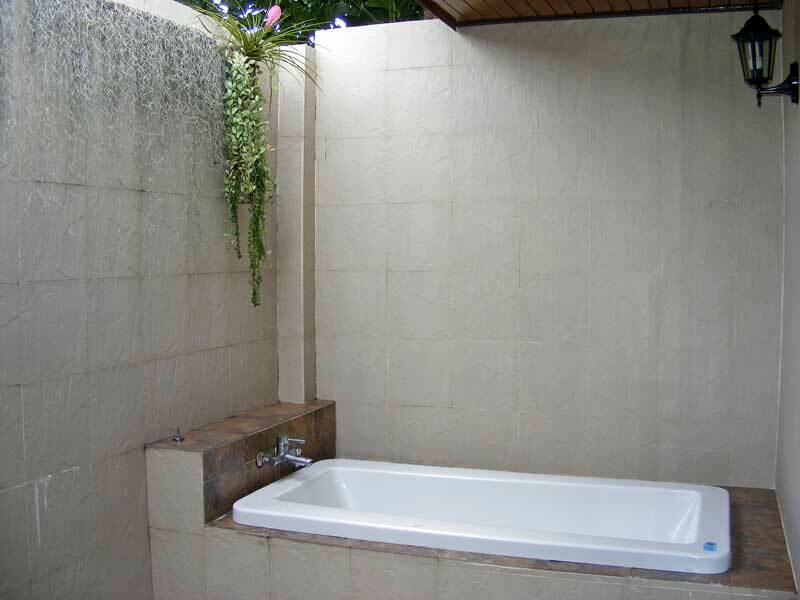 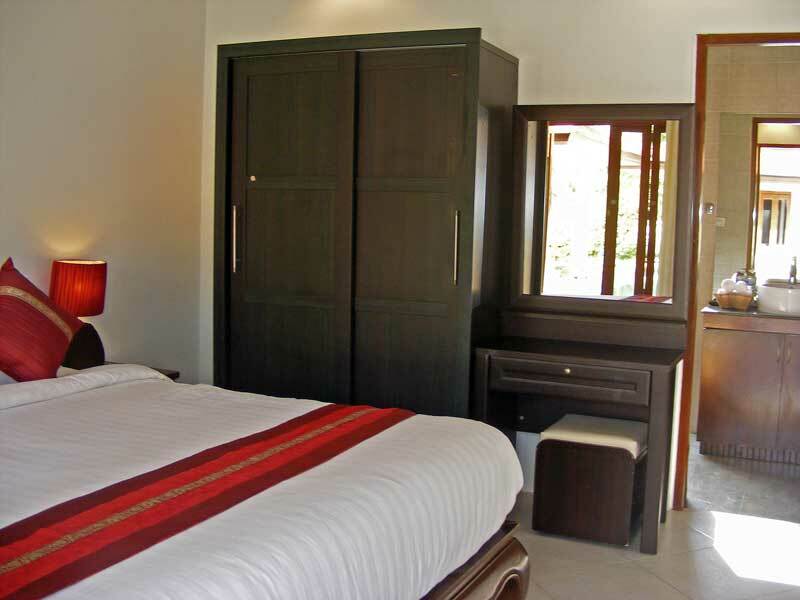 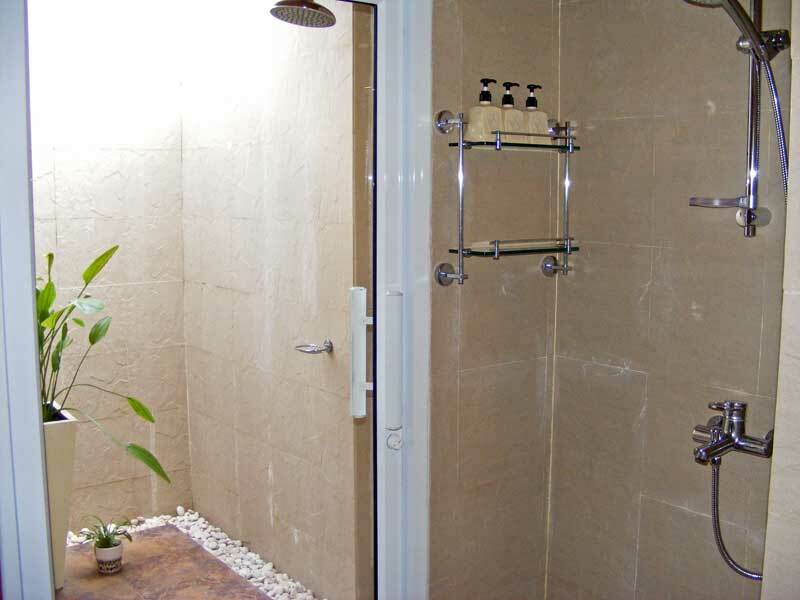 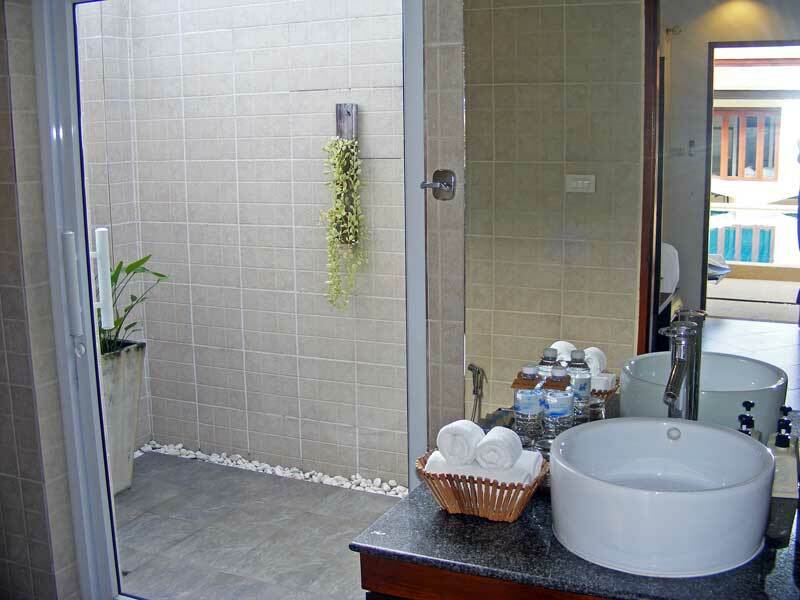 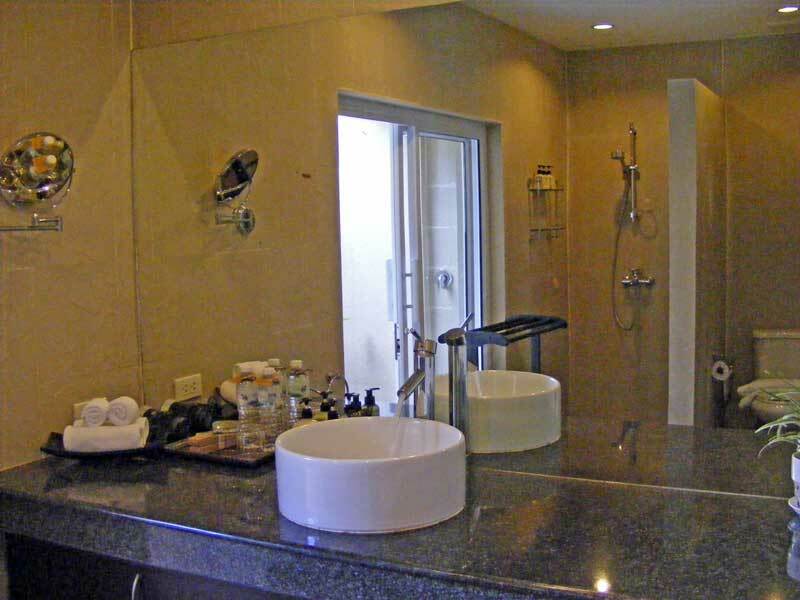 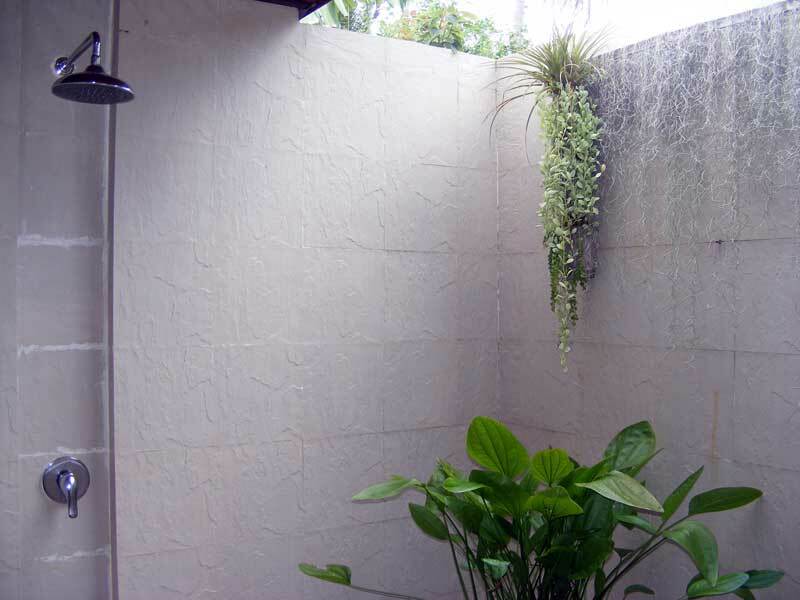 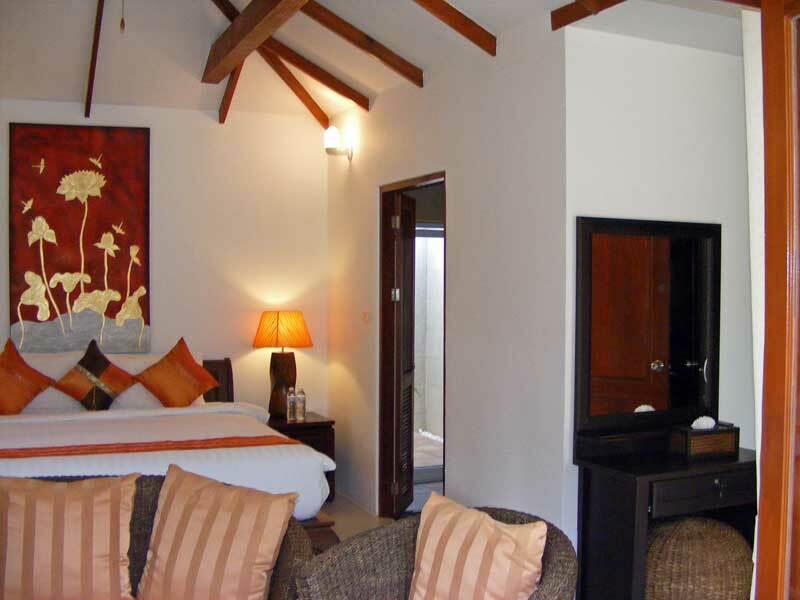 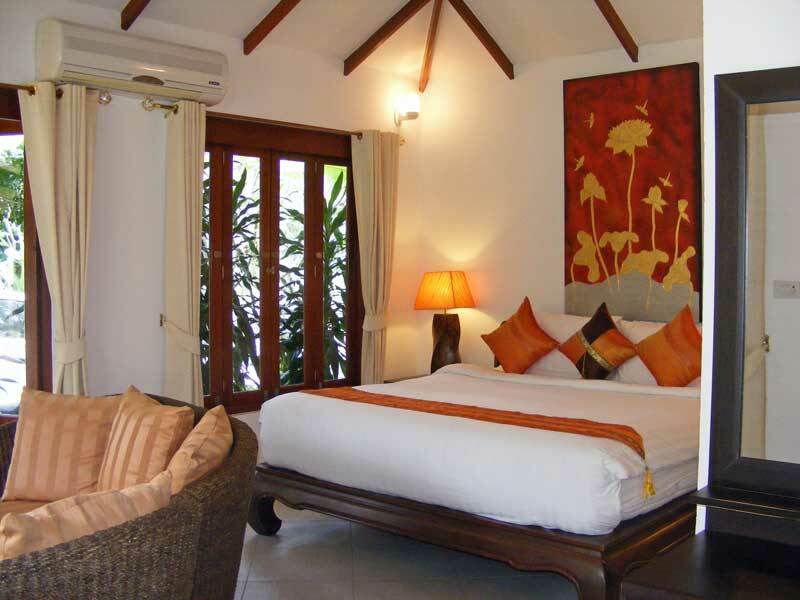 All rooms have air conditioning, all bedrooms have en suite bathrooms with additional outside shower. 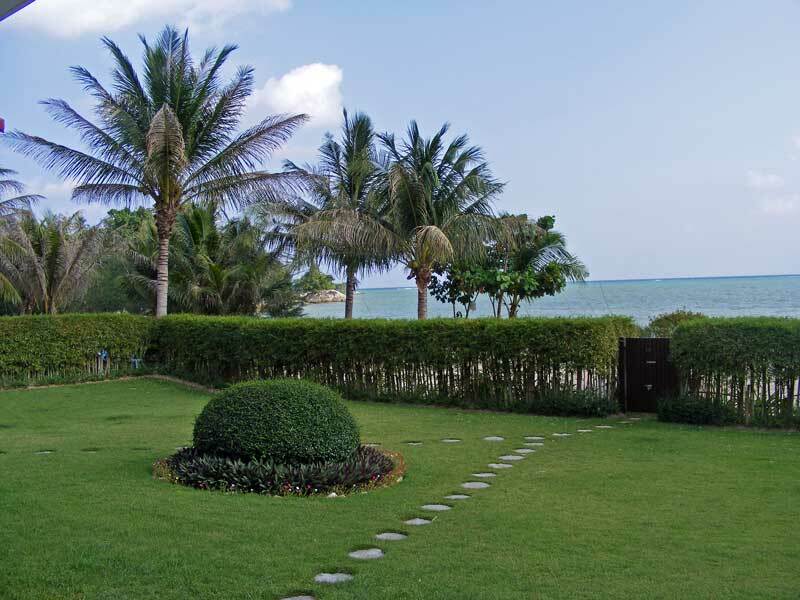 A pool with Jacuzzi and a sala, a well kempt garden, and a private beach are also featured by this very well maintained property.